Hello! My name is Sarah S. and I have a passion for reading and literature. 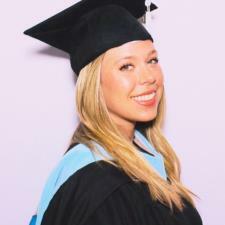 I graduated with a degree in English Literature and Theatre Arts from the University of Puget Sound in 2011, and went on to earn my Masters of Arts in Teaching Special Education in 2018 from National Louis. Born and raised in Chicago, I teach reading to 11th and 12th grade students near Hyde Park full time and tutor after school 2-3 times a week. I love being able to make concepts feel comfortable to students who may not otherwise "enjoy" reading, and love to make difficult texts seem like a fun challenge. I love tutoring because it allows me to work with scholars in a one-to-one setting, delivering a personalized and highly effective experience! For three consecutive years, my 11th grade students have been #1 in ACT and SAT Reading growth in our district, and I am responsible for the highest individual standardized testing growth in the network in which I teach. I have taught American Literature and British Literature for three years, as well as a test prep course geared directed toward the SAT and ACT style questions students will see on their exams. I also specialize in college entrance essays and college-style literary analysis essay tutoring. I have worked with students in almost every disability category (low to high incidence) and I have a Learning Behavior Specialist 1 qualification, as well as my Professional Educator's License. I earned a Masters Degree in Special Education, qualifying me to work with students with special needs from age 3-21. I am well versed in the strategies, techniques and rapport-building needed to help students with disabilities learn and enjoy their time reading due to my education and experience! Rate details: $55 for one full hour of tutoring, with $35 for each additional hour. Group rate is $100 per hour for 2 or more scholars. All high school reading classes I teach are aligned to ACT and SAT domains and dimensions. I have the highest individual growth for 11th grade SAT scores for the group of students I teach within my district and I have developed a specialty SAT/ACT coursework curriculum to meet the needs of any learner! I have 3+ years experience working with students with ASD. Combines social and verbal functioning practice in with reading tutoring to push students to excel in written and verbal processing. Well versed in the needs of individuals with ASD.